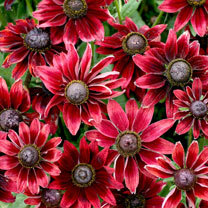 Rudbeckia 'Cherry Brandy' is one of my favourite flowers, with petals in the deepest crimson. 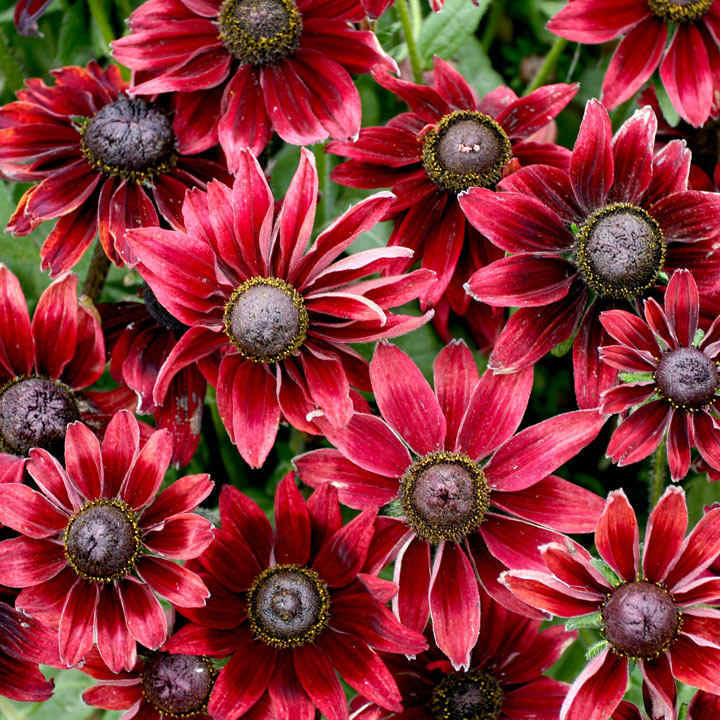 Rudbeckias make truly wonderful, very long-flowering and long-lasting cut flowers. Flowers July-November. Height 50-60cm (20-24"); spread 30-40cm (12-16"). Supplied in a 2 litre pot. Ideal for beds and borders, patio pots and containers. Suitable for cutting. Attractive to butterflies and bees. Grows well in sun or shade.